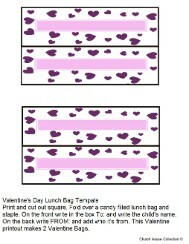 Just print the Valentine Template out. Pick which one you need. 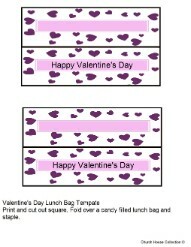 There are two different templates. One has 1 template to make 1 bag. The other has 2 templates to make 2 bags. 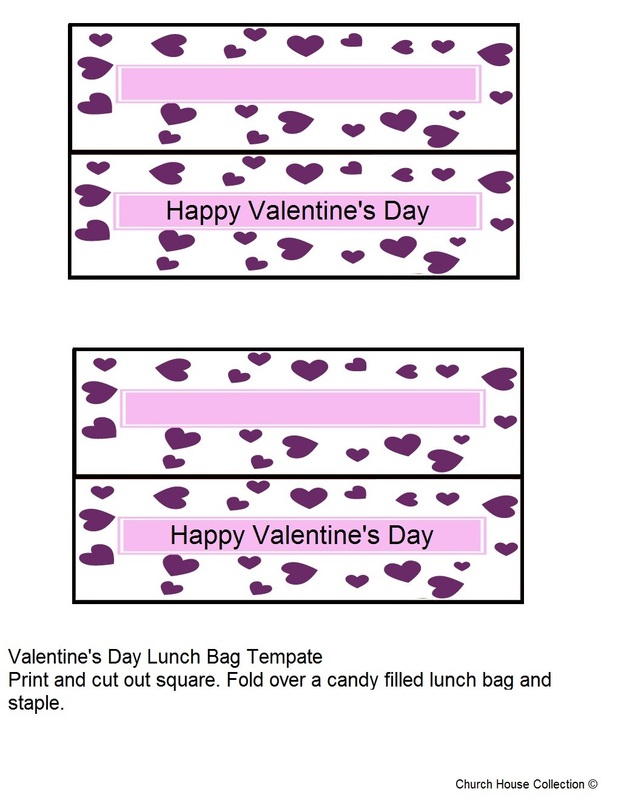 If you know how to use the Paint program on your computer try uploading the Valentine Template into PAINT and then typing the child's name or teacher's name on the front. 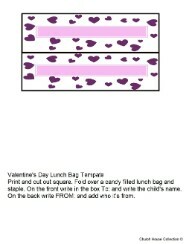 If you do not know how to do that then just write their name using a pen or sharpie maker. Print the template out and cut it out. 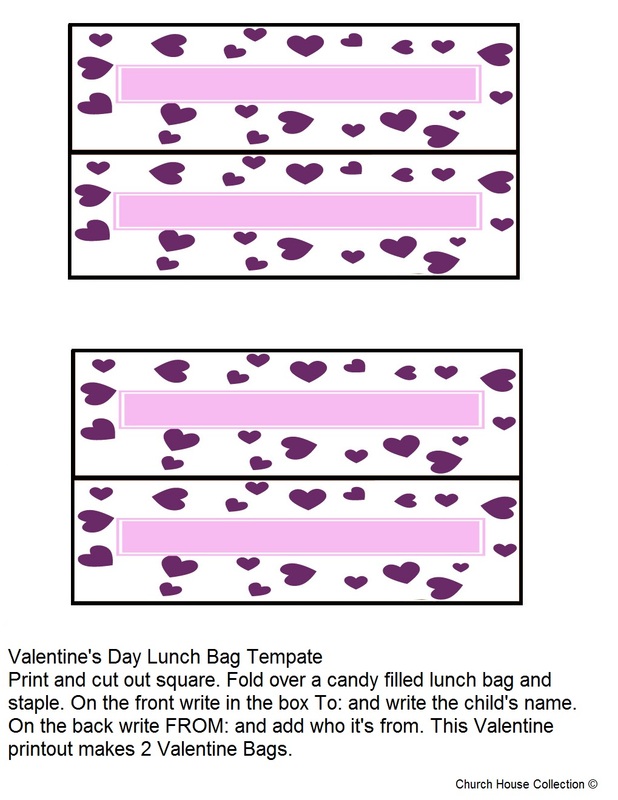 Fold the bag down and then fold the template over the folded over bag. Staple this on each side. Tape a sucker or another piece of candy to the side of the bag. Tape on some yarn or curly ribbon for hair. Tape on your eyes and then tape on a red pipe cleaner for the mouth. 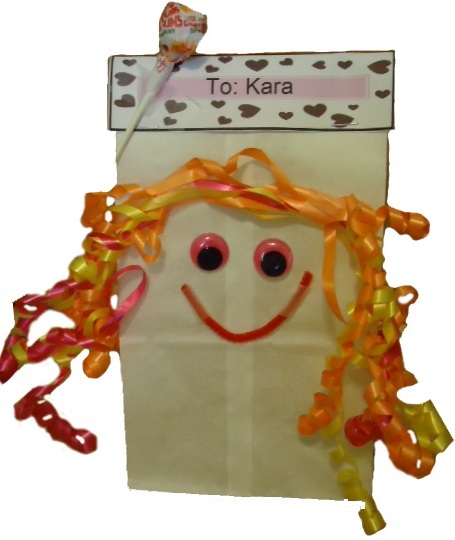 These make perfect little gift bags for kids. Try filling a large ziplock bag with suckers, candy bars, smarties, or any other candy you can think of. Add small stickers, toys, pencils, erasers, little stamps, gum, or anything cheap you can find online or at walmart. 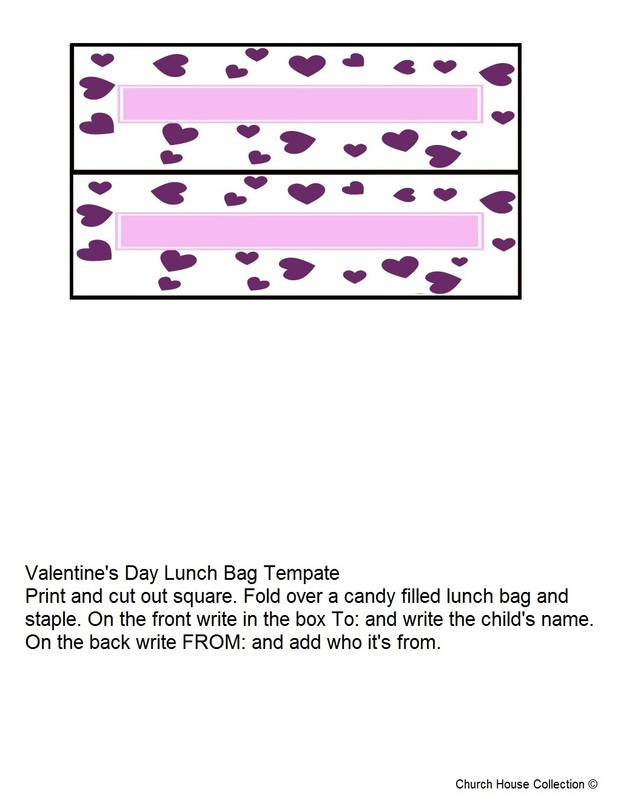 Just write the child's name on the front of the treat bag topper template. This has only 1 bag topper. 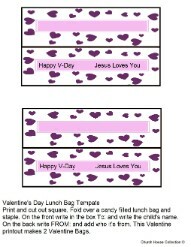 "Happy V-Day Jesus Loves You"
Just write the child's name on the front of the bag topper. This makes 2 bag toppers.